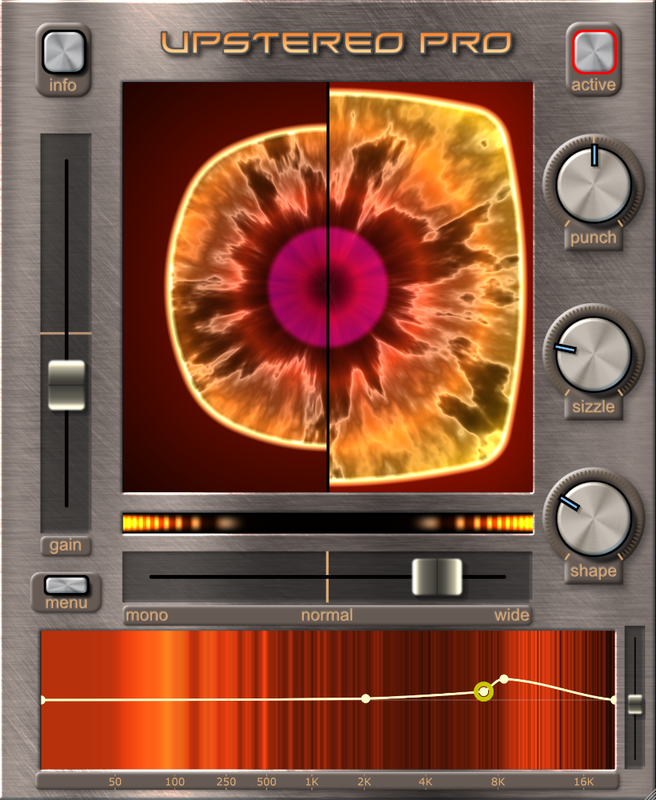 This plug-in uses unique technology for stereo enhancement. Unlike traditional techniques that can introduce phasing and inversion artefacts. * Stretches stereo width without using a new FHT linear phase design. * 64 bit versions in VST, VST3, AU and AAX formats. All QuikQuak plug-ins and software are copyright © 2005-2019 David J Hoskins. All rights reserved. All technical specifications and prices of the products specified on this web site may be subject to change without notice. Copyright notices may not be removed or changed. QuikQuak and all QuikQuak product names are trademarks of David J Hoskins. Microsoft® and Windows® are trademarks of Microsoft Corporation. Cubase and VST are registered trademarks of Steinberg Media Technologies GmbH. Mac and Intel Mac logos are trademarks of Apple Computer, Inc. All other trademarks are the property of their respective owners.